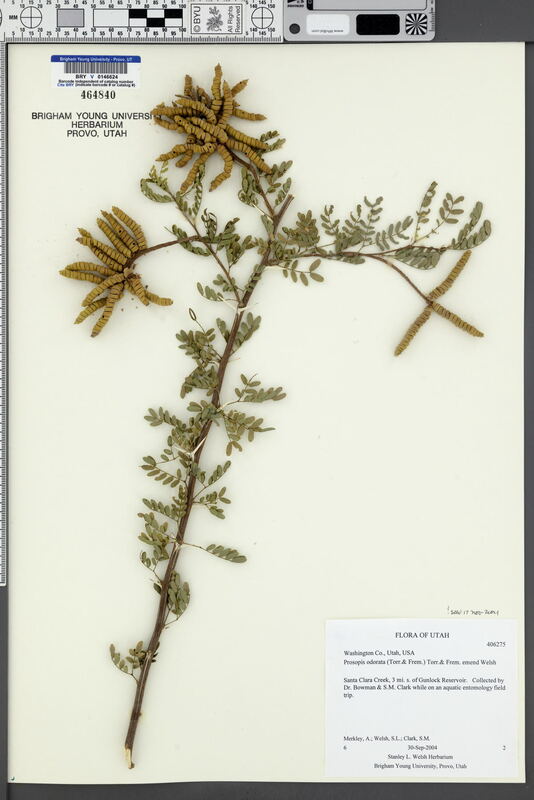 Taxon: Prosopis odorata Torr. & Frem. Locality: U.S.A., Utah, Washington, Santa Clara Creek, 3 mi s of Gunlock Reservoir.